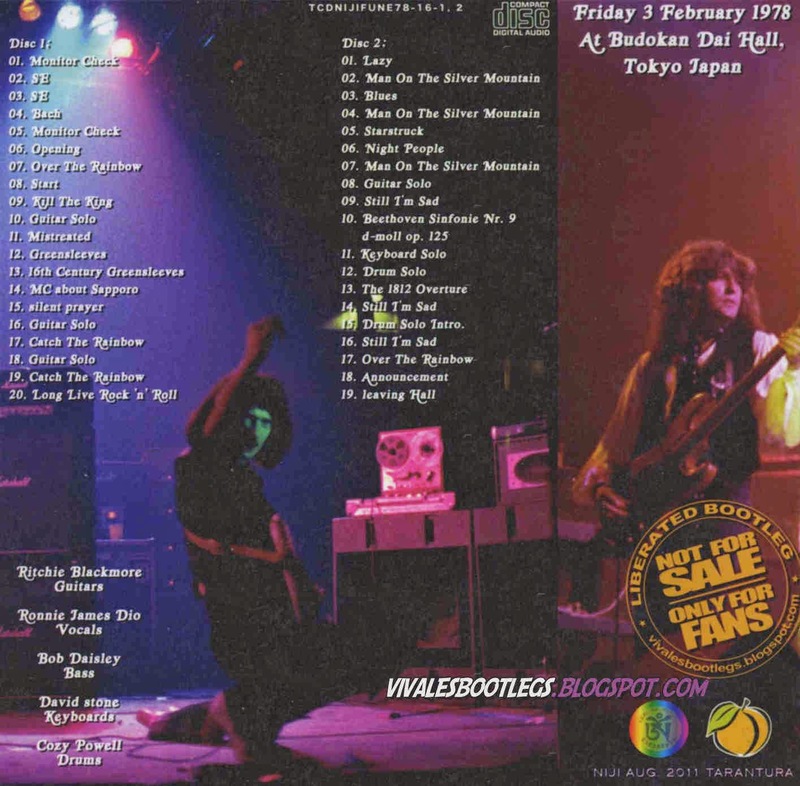 Recorded Live at Budokan Dai Hall, Tokyo, Japan - February 03, 1978. Files: 39.:: Size: 812.60 MB (flac). Personnel: Blackmore - Powell - Dio - Stone - Daisley. 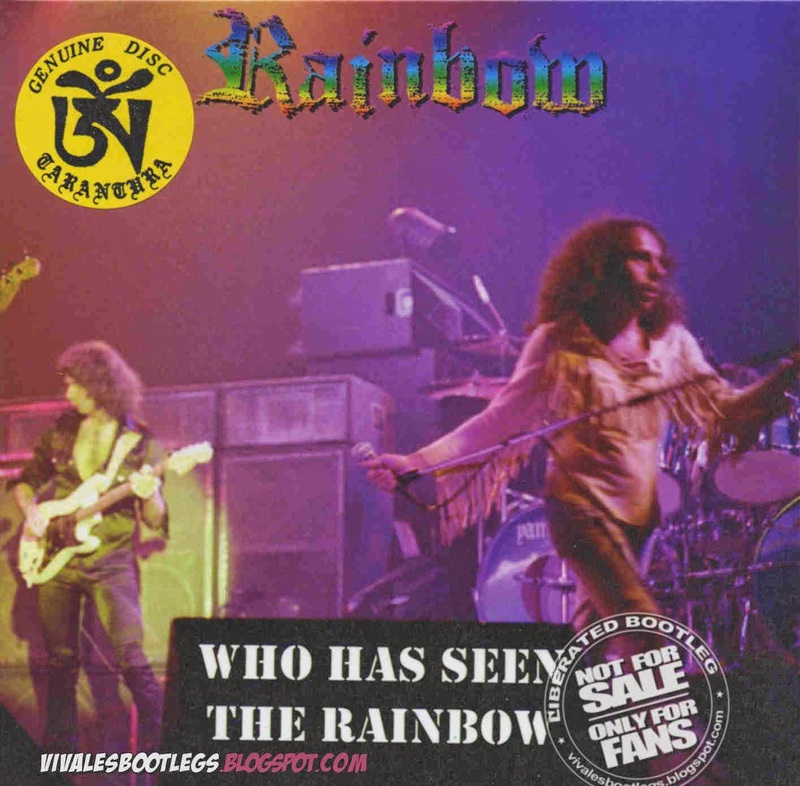 Notes: February 3 1978 is the final date on Rainbow's tour of Japan in support of the forthcoming Long Live Rock 'n' Roll record and the last time Ronnie James Dio would perform in Japan as a member of Rainbow. The concert has been released under such titles as Epilogue - Rising Arrow-047, Still Im Sad - Rising Arrow-008, Triumph & Tragedy - Rising Arrow-014, and Silence Prayer - Tarantura TCDRAINBOW-6-1,2 (part of the Giboshi box set). The recording used here is a fantastic Mr. Peach source recorded very close to the stage and is a dynamic, well balanced excellent source that is a phenomenal listen. There is a very small amount of tape hiss in quiet parts but oes not interfere and very little interference around the recorder...<- (taken from original info file).